It’s hard to believe that J.K. Rowling published the final installation of the critically acclaimed Harry Potter series over seven years ago. And, although, the film series continued for four more years, the world undoubtedly became a less magical place when readers reached the final chapter of The Deathly Hallows. While some fans have mourned the end of their favorite childhood series, others of us have chosen to fight off the following years of depression by rereading, rewatching, and just generally pretending that it’s not really goodbye. No shame, I had a Harry Potter themed wedding just eight short months ago. The good news is that we were right to believe it isn’t truly over! J.K. Rowling’s Pottermore, an interactive website, is set to release a short story on October 31st. 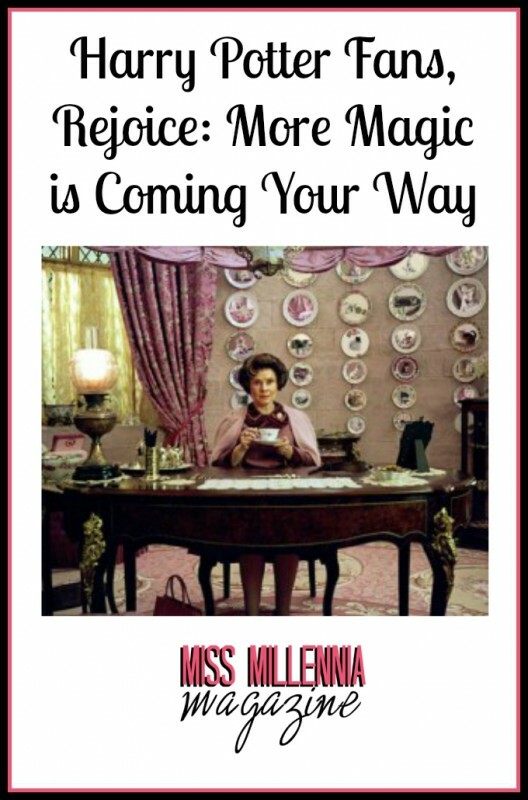 It follows the most villainous employee at the Ministry of Magic, Dolores Umbridge, and will primarily focus on her backstory. Dolores Umbridge is no doubt a compelling character with her perfectly matched pink outfits, appreciation of all things cute, and her complete dedication to cruelty and punishment. Although Voldemort has infiltrated the Ministry of Magic, the wizarding world’s governmental organization, he also uses many less legal means to persuade others to follow him (ie: straight-up torture, murder, unforgivable curses, etc.). 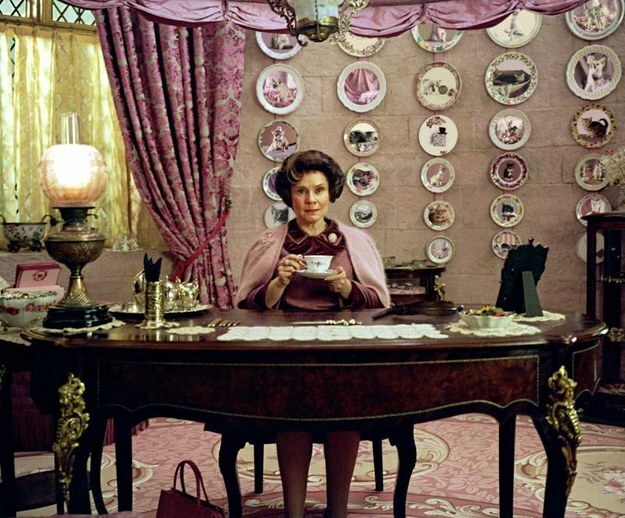 Umbridge operates specifically within the limits of the law, which makes her such an interesting villain! Her character complicates this good and evil dichotomy, because she uses her positions of power (as an educator and employee of the Ministry) to do evil. I, for one, cannot wait to learn more about her history and how she became such a sinister woman! In addition, Rowling revealed just last year she would be working on The Fantastic Beasts and Where to Find Them trilogy with Warner Brothers, which will take place in the wizarding universe we’ve grown to love. It is set 70 years prior to Harry’s story and in New York! The film follows Newt Scamander’s (the author of Harry’s textbook) adventures and is set to be released in 2016. Not to mention that Universal Studios recently expanded upon their Wizarding World of Harry Potter theme park, which now includes a Diagon alley and Hogsmeade section! Lord knows I’m saving my funds to take this trip. Although Harry’s story is finished, there’s still so much to be excited about in the future: stories elaborating on character’s backgrounds, a new movie installation, Harry Potter themed hotel rooms, and an entire theme park dedicated to the beloved series!